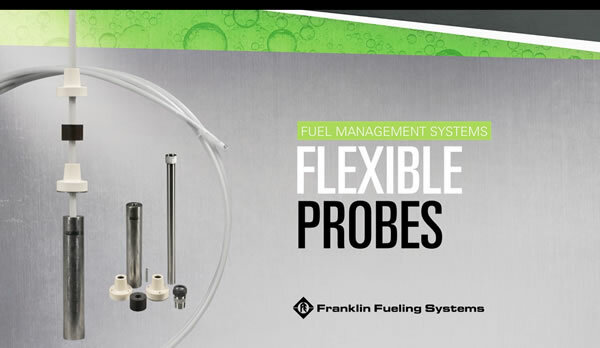 Check Out What’s New At Franklin Fueling Systems – Flex Probes! The Electrofusion Entry Seal welds the pipe and chamber together. When the welding is done correctly, the parts become one homogeneous piece. There is no need and it is NOT recommended to add any sealant to the welded joints after the weld is completed. Sealant will only make it more difficult to repair if there is an issue with the weld. Any sealant is temporary and could possibly mask a problem with the weld. 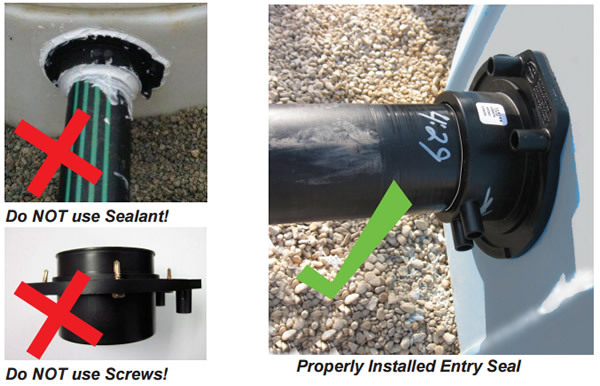 Franklin Fueling Systems does not support using sealant of any kind on the electrofusion weld seals or fittings. Electrofusion Entry Seals must follow the welding steps as outlined in Franklin Fueling Systems manual 408001007 for Electrofusion Welding Instructions. Failure to follow our install instructions puts you at risk of a faulty unreliable weld. Electrofusion fittings can be re-welded: The fitting must be fully cool and continuity must remain in the heating coil wires. Contact Franklin Fueling System Technical Support for re-welding instructions. ALL entries into sumps and chambers must be perpendicular to entry face. Sealants should never be used to do repairs on electrofusion welded joints. Screws, rivets or other mechanical fasteners should never be used on these fittings. If there is a leak after the fitting is installed, contact Franklin Fueling Systems Technical Support.